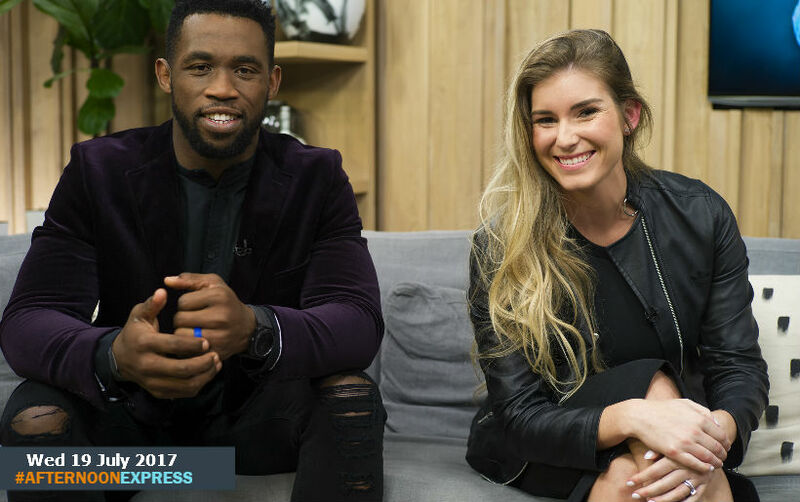 We are joined by Springbok rugby player and Captain of the Stormers, Siya Kolisi his wife Rachel. He is from the small township of Zwide, in Port Elizabeth, and now has gone on to become the first black captain of the Stormers rugby team. His passion for rugby began young, when he used to practise and play at the Dan QeQe Stadium, where he was took in by the African Bombers Rugby Football Club. He started out at their under 9 team, which gradually and eventually led to him playing for their first team, and him getting a scholarship to Dale High school. He would also go on to play for the EP Kings Under 16 and Under 18 teams, respectively before going to Cape Town and joining the Western Province team. Kolisi was selected as the captain of the stormers in February 2017, he is also the first black player to ever captain the Springboks, which was in June 2017, after captain Warren Whiteley was ruled out of playing he third and final Test against France at Ellis Park.